Europe’s most wanted terrorist Salah Abdesalam was finally captured after 120 days of eluding police. On November 13th, Salah Abdesalam didn’t detonate his suicide vest as part of the Paris attacks. Instead of going through with his part of the attack he called friends seeking someone to drive the 180 miles to Paris. The first friend he called stated that he didn’t want to put the miles on his leased vehicle. Salah next called Mohamed Amri and Hamza Attou, two friends who drove from Brussels to Paris to spirit him back to the old neighborhood. It should come as no surprise that Abdesalam went to ground in the area he grew up in-the Molenbeek District of Brussels. Many of the Paris attackers had ties to the Molenbeek District. The Molenbeek area can best be described as a working class Muslim neighborhood where jihadi recruiters have been able to manipulate and motivate individuals. Many people say that unemployment and poverty are the reasons that segments of the Molenbeek District are marginalized. However, the Abdesalam brothers were business owners not unemployed or in poverty. 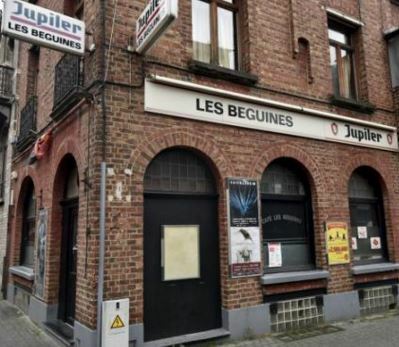 Ibrahim and Salah Abdesalam owned the Les Begoines Pub on Rue des Beguines. In August 2015, police raided the pub due to complaints about drug usage. A notice was sent after the raid to the bar for the owners to contest why the bar should not be closed. Neither Ibrahim or Salah Abdesalam attended the hearing. Instead on September 30, 2015, they sold the bar six weeks before the Paris attacks. It doesn’t appear that the two brothers were pious Muslims, owning a bar and allegedly selling drugs from this establishment. How could Europe’s most wanted terrorist hide out in the neighborhood he was from and worked in remains a question that investigators will be seeking to answer during their interrogation with Salah Abdesalam. With the intensive manhunt by police in Brussels, Salah Abdelsalam’s picture and wanted info was being circulated on social media and on the news. Yet, Abdelsalam it seems was able to survive and elude police looking for him right in his own neighborhood. It should have been hard for someone to move without being noticed. But yet he was able to elude police hiding right under their nose in his neighborhood. As with so many of these cases there is always individuals providing some level of shelter and support. In the Terrorism Research Center’s “Terrorism 360: Hidden in Plain Sight” training program we show how numerous terrorists over the years have been able to evade police and the intelligence dragnets set up to locate and capture them. Many of them hide in locations they are quite familiar with and have a level of support. Depending on the level of support provided we have seen terrorists like Eric Robert Rudolph evade capture for more than five years. Eric Rudolph after conducting four domestic bombings in the United States was able to evade capture from July 27, 1996 to May 31, 2003. Rudolph was captured by Jeff Postell, an alert police officer in Murphy, North Carolina. Murphy was a location that Eric Rudolph knew quite well and had support within the community. Segments of the Murphy community at times seemed to be working against the law enforcement community looking for Rudolph. Some stores in that area sold t-shirts that said “Run Eric Run.” Terrorists can not survive nor hide in plain sight without logistical support, shelter and people willing to finance them while they are on the lam. For law enforcement to capture terrorists and criminals they require information from the communities they serve. Neighborhoods like Molenbeek require police to be proactive and working with the communities they serve. Enlisting the aid of the community is the quickest way to capture someone hiding in plain sight. But in a neighborhood known to be where so many individuals have traveled to Syria to fight with ISIS this neighborhood will be a challenge for police to get residents to trust the police.